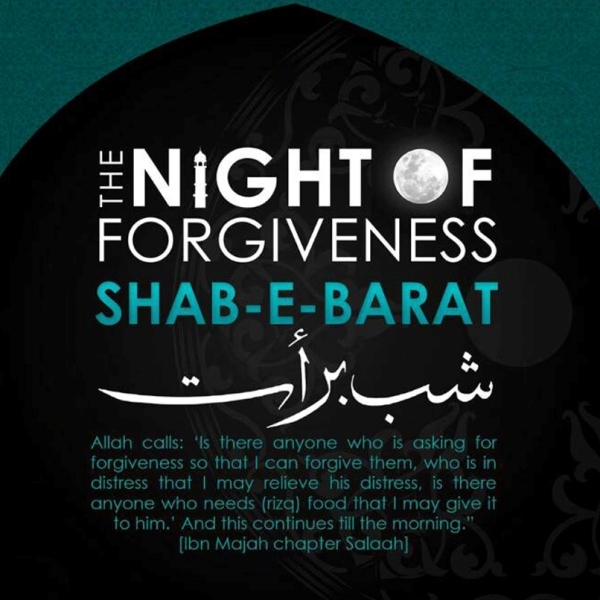 Many Muslims in various countries pray on the 15th night of Shabaan, and ask for forgiveness of their sins and on the following day proceed to fast. To do this is in no way against the Qur’an nor the Sunnah. There are many narrations that support its validity. There is one night in the year when Allah ﷻ gives the knowledge to the Angels, about what is going to happen in the following year, for example, who is going to die, who will be born, who will be ill and how much food people will have in the year, etc. 4) Answers to Objections raised. 1. Detailed Article Containing all Narrations on 15th Shabaan. 2. Opinions of leading Salafi Authorities on 15th Shabaan. The below are some of the narrations by leading Salafi authorities. Two followers of Ibn Taymiyah and Muhammad bin Abdul Wahhab Al Najdi, are Hafidhh Abdullah Rawpari and Thanaa’ullah Amritsari, both state that to worship on the 15th night of Shabaan is not Bid’ah and the person who does Ibada (Worship) on this night will obtain reward for it. The narrations concerning this night are weak but this does not matter since weak Ahadith are acceptable for virtuous actions. The excellency regarding the 15th of Shabaan is an area of dispute between the Scholars, some of them say that there is no significance of this night, but Imam Ahmed recognises the excellency of this night, our other Hanbli Scholars also agree with Imam Ahmed. There are Ahadith on this night being significant, some of them are from Sunnan (Tirmidhi, Ibn Majah) and the other Ahadeeth books as well. إلا لمشرك أو مشاحن ” . حديث صحيح , روي عن جماعة من الصحابة من طرق مختلفة يشد بعضها بعضا و هم # معاذ ابن جبل و أبو ثعلبة الخشني و عبد الله بن عمرو و أبي موسى الأشعري و أبي هريرة و أبي بكر الصديق و عوف ابن مالك و عائشة # . Where did the narrations for Night of Mid-Shabaan Come from? The passages above show us that in the first century of Islam, it was the people of Shām who were known to celebrate the the Night of Mid-Sha’ban. Those who taught them that the Night of Mid-Sha’ban was a special night, and taught them to do extra prayers in this night, were scholars from the generation of the Tabi’een, those who studied under the Companions of the Messenger of Allah (may Allah bless him and grant him peace). Now the question is, why was it in particular the Tabi’een of Shām that taught this? Because they took it from the great Companion Muadh ibn Jabal (may Allah be pleased with him) who used to teach in Damascus. The Companions of the Messenger of Allah (may Allah bless him and grant him peace) spread to different parts of the world, and took with them the teachings that they heard from the Messenger of Allah. Because of this, in the first century of Islam, different regions within the Muslim world had different practices and fiqh, based on the different Companions that they learned from. When the caliph Harun al-Rashid asked Imam Malik if he may force all the people of Islam to follow Malik’s book the Muwatta, Imam Malik refused this strongly, telling him that the different Companions of the Messenger of Allah had dispersed to different lands, each carrying different hadiths and different teachings; the people of each region followed the way of the Companions who went to them, and they were all correct. After some while, the hadiths of all the different regions would be brought together and shared with the entire Muslim community. The most prominent Companion to teach in Damascus was Mu’adh ibn Jabal. The Messenger of Allah (may Allah bless him and grant him peace) said: “The most knowledgeable person in my Ummah of what is Halal and what is Haram is Mu’adh ibn Jabal.” He (may Allah bless him and grant him peace) also said, “Muadh will be at the forefront of all the scholars on the Day of Judgment.” Many hadiths describe Muadh as the leader of the scholars of Islam on the Day of Judgement. When he came to Shām, the other Companions there used to have such respect for him that they would always turn to him to solve any problem. Even though he was the youngest of the Companions there, they would all look at him with awe. He always sat quietly and silently, but stood out with his radiant face. When a disagreement arose they would go ask him, and hover around him. People said that a love for him would fall on their hearts upon seeing him and they said that when he spoke it was as if light and pearls were coming out of his mouth. The other Companions likened him to the Prophet Abraham (peace be upon him). It was Muadh, this most outstanding of scholars from among the Companions of the Messenger of Allah (may Allah bless him and grant him peace), who taught to the people of Shām the sayings of the Messenger of Allah (may Allah bless him and grant him peace) about the virtues of the Night of Mid-Sha’ban. God looks at His creation during the Night of Mid-Sha‘ban and forgives all of them, except an idolator and one who harbours rancour. If we look at the chain of this hadith, we see that the Syrian Malik b. Yukhamir (from the city of Homs) took this hadith from Mu’adh ibn Jabal, and through him it reached Makhul. As we saw above, Ibn Rajab stated that Makhul was one of those who taught people the virtue of this blessed night and used to strive to do extra worship on this night. According to Imam Zuhri and other great scholars of that age, Makhul was the greatest scholar of Shām in his age, and one of the four greatest scholars amongst that entire blessed generation of young Tabi’een. Makhul taught this hadith to the Damascene Thawban, who taught it to two people mentioned in this chain: his son Ibn Thawban, and the Imam of Shām, al-Awza’i. Al-Awza’i was the imam of Shām of his time in terms of Jurisprudence, like Malik in Medina, Abu Hanifa in Kufa, or Ibn Hanbal in Baghdad. The Awza’i school of jurisprudence became the main school of jurisprudence in Shām and spread from there to the Andalus, where it was the most widespread school of jurisprudence there for a time. Makhul also received this same hadith from Kathir ibn Murra al-Hadrami, a Tabi’i who lived in Homs. Kathir reported the hadith as a mursal report directly from the Messenger of Allah (may Allah bless him and grant him peace), meaning that he did not specify which Companion he took it from. Al-Bayhaqi narrated the hadith through this chain in Shu’ab al-Iman and stated that it was a mursal jayyid (strong hadith, despite being mursal). (5) Kathir was known for often leaving out the name of the Companion from whom he took prophetic traditions, but we do know that one of his main teachers was Muadh ibn Jabal (may Allah be pleased with him). Now if we return to the hadith of Muadh ibn Jabal (may Allah be pleased with him) and the scholars of Shām who narrated it, we see those very same narrators are the ones from whom we have received explanations of this hadith. Thus these scholars used to not only narrate this hadith but comment upon it and explain it. As we have seen above, those two figures, Imam Awza’i and Ibn Thawban, are the ones who narrated the hadith of Muadh from Thawban, and passed it on to other scholars of Shām. We learn from the above the importance that the people of the blessed land of Shām gave to the Night of Mid-Sha’ban and its day, and we learn that its origin is with the great Companion, the leader of all the scholars of Islam, Muadh ibn Jabal (may Allah be pleased with him). The people of Shām took this hadith from him and taught it to others and explained it. We also know that they learned from this hadith (and others) that one should strive to do extra worship on this night. This was the guidance of the Tabi’een which they took from the Companions who came to Shām and instilled in them the love and veneration of this blessed night. 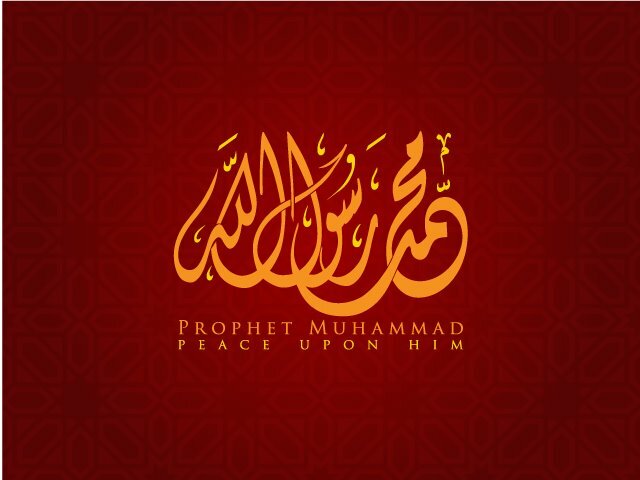 May Allah bless and reward all the Companions and their Followers, and all those hadith narrators and scholars who have preserved for us the Sunna of the Messenger of Allah (may Allah bless him and grant him peace), so that it could reach us centuries later, in all corners of the world, in order for us to be able to implement it and act upon it. (1) Ibn Rajab al-Hanbali, Lata’if al-Ma’arif, Beirut: Dar Ibn Hazm, 2004, p. 137. (2) He continues to say: “If a person performs extra prayers on the night of the middle of Sha’ban on his own or in a private congregation, as groups of the salaf used to do, that is best.” However, he disapproved of a congregation of an entire town in the main mosque praying an innovated prayer with a set number, for example, one hundred cycles with one thousand Sura Ikhlas, calling that an innovation. (See Ibn Taymiyya, Majmu’ al-Fatawa, vol. 23, p. 132). An almost identical statement is repeated in his workIqtida’ al-sirat al-mustaqim where he added that despite the fact that some scholars from Hijaz denied the virtue of this night, the majority of the people of knowledge from among the Hanbali scholars and others believe in its special virtues, and the texts of Ahmad ibn Hanbal are evidence for that, as well as the many prophetic traditions and practices of the salaf (See Ibn Taymiyya, Iqtida’ al-sirat al-mustaqim, Beirut: Dar ‘Alam al-Kitab, 1999, vol. 2, pp. 136-7). It should be noted in this regard that Shām was always one of the main centers of the Hanbali school. (3) Sahih Ibn Hibban, vol. 12, p. 481. Its men are all trustworthy. After evaluating eight different chains for this hadith, al-Albani concludes: ‘The hadith, with its collective chains of transmission, is authentic (sahih) without doubt.’ Al-Albani, Silsilat al-Ahadith al-Sahihah,Riyadh: Maktabah al-Ma‘arif, 1979, vol. 3, p. 138. (4) Al-Tabarani, Musnad al-Shāmiyyeen, Beirut: Mu’assassat al-Risala, 1984, vol. 1, p. 128. (5) Al-Bayhaqi, Shu’ab al-Iman, Riyadh: Maktabat al-Rushd, 2003, vol. 5, p. 349. 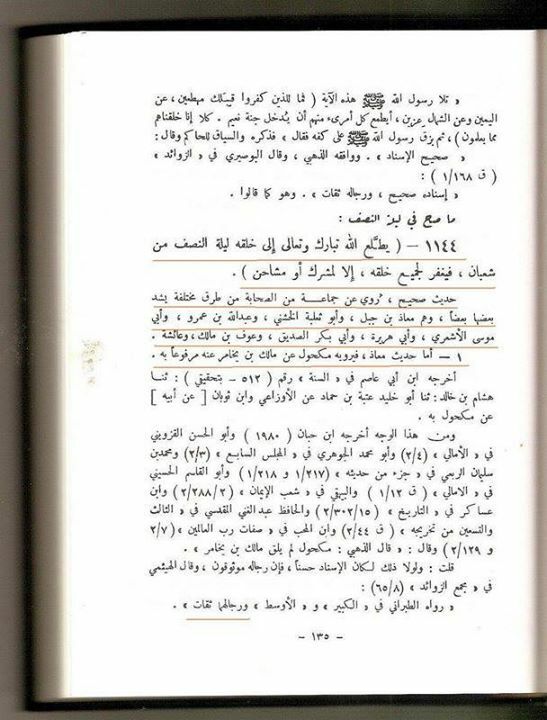 (6) Sunan Ibn Majah, Cairo: Dar Ihya’ al-Kutub al-Arabiyya, Vol. 1, p. 445. (7) Sunan Ibn Majah, Cairo: Dar Ihya’ al-Kutub al-Arabiyya, Vol. 1, p. 444. However it should be noted that the chain of this particular narration contains one person who is considered weak. Though Ibn Rajab al-Hanbali considered this tradition to be weak, he narrated it in Lata’if al-Ma’arif in support of fasting the day of the 15th of Sha’ban. He further stated that in either case, it is one of the three middle days of every month known as the ‘Days of the White Nights’ in which fasting is recommended. These are the 13th, 14th, and 15th of every lunar month (see Ibn Rajab al-Hanbali, Lata’if al-Ma’arif, Beirut: Dar Ibn Hazm, 2004, p. 136). (8) Musnad Ahmad ibn Hanbal, Beirut: Mu’assassat al-Risala, 2001, vol. 11, pp. 216-7. (9), (10) Shaykh Salih al-Ja’fari (ed. 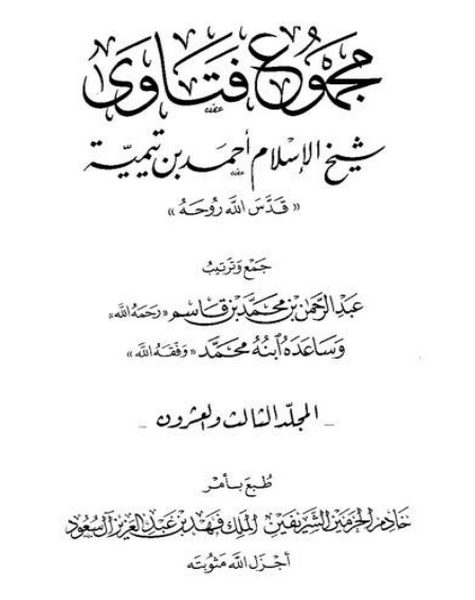 ), Risalat al-Kashf wal Bayaan ‘an Fadaail Laylat an-Nisf min Sha’banby al-hafiz Shaykh Salim al-Sanhouri, who was summarizing the teachings of his teacher, the Seal of the Hadith Masters of his age, Shaykh Najm al-Din al-Ghayti. Cairo: Dar Jawami’ al-Kalim, pp. 14-5. Ishaq ibn Rahwayh likewise said in his Musnad: Al-Awza’i explained the word mushāhin (in this hadith) as the innovator who parts ways with the rest of the ummah. (11) Ibn Rajab al-Hanbali, Lata’if al-Ma’arif, Beirut: Dar Ibn Hazm, 2004, p. 137. Q1) Sha’ban is a blessed month and the Messenger of Allah (SallAllahu ‘alayhi wasallam) would observe fast throughout this month. No disputes with this statement for the beloved Prophet (sal Allahu alaihi wa sallam) indeed used to fast most of the year round abundantly. Q2) There is no Qur’anic evidence for the excellence of the 15th of Sha’ban. There is one night in the year when Allah Almighty gives the knowledge to the Angels, about what is going to happen in the following year, for example, who is going to die, who will be born, who will be ill and how much food people will have in the year, etc. This narration is Ikrama’s, the other scholar’s statements are proven that 15th night of Shabaan is a holy night but there is no doubt that Allah Almighty gives the full knowledge to the Angels in the night of Laila-tul-Qadar, which is in the month of Ramadan. Q3) The opinion that sustenance, death etc is determined on the night of the 15th of Sha’ban is false. It is based on this surah that some scholars have written that on the night of 15th Shabaan Allah Almighty gives the knowledge to the Angels, about what is going to happen in the following year, for example, who is going to die, who will be born, who will be ill and how much food and sustenance people will have in the year, etc. Furthermore, the Holy Prophet (May Allah bless him and grant him peace) said, ‘From Shabaan to Shabaan there is a decision made of who is going to die, be married and some people get married but their names are written in the death program. [Tafsir Tabari, under Surah Dukhan, verse 1 by Imam Tabari]. Q4) Most hadith on the merit of the 15th of Sha’ban are either very weak or fabricated. However, there is a narration which has been argued by some scholars (then supported collectively) reaches the level of acceptability. The hadith states that Allah descends to the lowest heaven and forgives the sins of everyone except one who associates partners with Allah and one who harbors enmity on that night. The article we have provided shows the authenticity of all the various narrations on 15th Shabaan. One can read them all here. It is a deception to state that most are weak. We suggest all brothers and sisters to read the narrations themselves here. Q5) All hadith which describe specific prayers to be done on this night are fabrications and innovations. Who narrated this hadith from Ali? His nephew Abdullah ibn Ja’far, who used to travel every year to Damascus. He passed on the hadith to his son Mu’awiya, who was born in Damascus. We have already shown in the article above the connection between night of mid-Shabaan and the Salaf-as-saliheen of Damascus. However it should be noted that the chain of this particular narration contains one person who is considered weak. Though Ibn Rajab al-Hanbali considered this tradition to be weak, he narrated it in Lata’if al-Ma’arif in support of fasting the day of the 15th of Sha’ban. He further stated that in either case, it is one of the three middle days of every month known as the ‘Days of the White Nights’ in which fasting is recommended. These are the 13th, 14th, and 15th of every lunar month (see Ibn Rajab al-Hanbali, Lata’if al-Ma’arif, Beirut: Dar Ibn Hazm, 2004, p. 136). 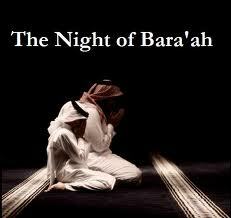 The night of the 15th Sha’ban, is a very blessed night, this is proven from the Holy Qur’an and Ahadith. In this night Allah ﷻ turns specially attentive towards His servants and forgives a great deal of them. Allah ﷻ fulfils their supplications for sustenance and a pleasant life in this World and the next. Allah ﷻ fulfils the requests of the callers in this night. Due to the virtues and blessings of this night, we should supplicate for the forgiveness of the Ummah, our beloved ones and ourselves. There are narrations from approximately 17 Companions of the Prophet ﷺ with respect to the blessings of this night. Q6) Remembering the deceased and praying for their forgiveness on 15th Shaman is Bid’ah. This is a typical reaction of the shirk brigade and biddah bandwagon. When they are refuted from all directions and completely debunked, they are quick to change the topic and begin their rant. We will simply present one hadith about remembering the deceased and praying for their forgiveness to show it was the sunnah of the beloved Prophet (peace and blessings of Allah be upon him). [Narrated by Tirmidhi, who points out that its chain of narration is discontiguous, altough we may note that such discontiguity is not detrimental to authenticity according to some scholars. Also narrated by Ahmad, Ibn Majah and others. Ibn Rajab describes this narration as one of the best on the subject.] So once again we find a narration which mentions the virtues of mid-Shabaan. It is recorded from the Friends of Allah [Auliya-Allah] to pray 6 cycles of ritual prayer [raka’] after the Maghrib prayer. In the first two raka’ add with the intention that with its blessing extend life with harmony. Next two for the protection from misfortunes and evil, and next two so that may Allah make us dependant on Him and no one else. After every two cycles [raka’] recite 21 times Surah Ikhlas OR once Sura Yasin (chapter 36). Rather read both and gain mounts of rewards and then recite the Supplication of Shabaan (dua’ of Shabaan) Click here for Dua in Audio and Arabic. Spend the night, as much as possible, in worship and on the 15th of Shabaan fast. It is written in Anees-ul-Waezeen that whoever fasts on the fifteenth of Shabaan the fire of hell will not touch him. Since the book of deeds is changed on the 15 night, if it is possible, also fast on the 14th so that the last day of the yearly deed book is spent fasting and the first day is spent fasting. hearts that were covered & ears that were deaf. Health is one of the underappreciated divine bounties. Our Prophet ﷺ warns of the common ignorance and negligence in this regard. 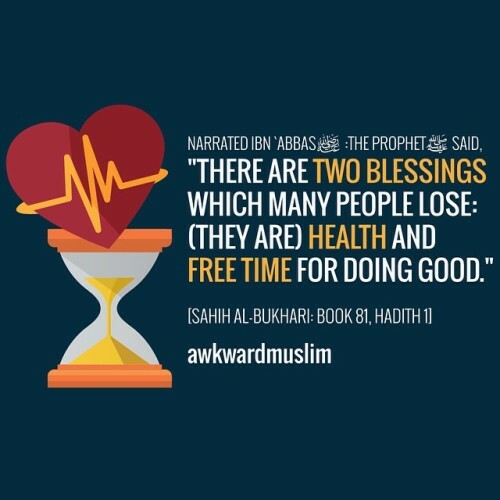 “There are two divine blessings that people do not properly value,” he said, “health and leisure.” (Bukhârî, Riqâq, 1). Thus he warns us, his community, against the remorse we may suffer for wasting these two precious gifts. Allah entrusted each of us with a body, and our bodies have due rights over us. In fact, in order to pursue the life of servanthood properly, it is necessary to maintain physical as well as spiritual health. Acts of worship may only be performed fully when a person has a healthy body. Is it possible for someone who is not healthy to offer ritual prayers serenely or to fast with inner peace? So many ritual acts and good works that allow people’s hearts to draw closer 􏰁to Allah depend on the blessing of health. When one loses one’s health, one’s acts of worship and of service lose their wholeness. Thus when we still have the opportunity to keep ourselves healthy, we should thank Allah properly for this bounty and pay close atten- tion to our worship and the giving of charity. Just as with all other bounties, health may be wasted if one does not follow the divine instructions concerning its preservation. To throw your health away is to treat your body profligately. In order to avoid wasting our health, we must protect it by follow- ing the guidance of reason and the divine commands. This involves seeking healthy nourishment, but also protecting our bodies from natural factors like excessive heat and cold, and from the results of negligence, such as traffic accidents. Our religion includes a variety of material and spiritual teachings concerning the protection of health. It orders us to be prudent in the consumption of food. Our religion informs us that in order to protect our health, spiritual precautions are also necessary. These include being careful to pay the share of the poor out of our wealth, and giving alms. The Messenger of Allah ﷺ indicated the extent of spiritual precautions needed protect health. He said, “An act of charity is due for every joint of the human body. This is why every instance of declaring Allah’s glory counts as charity; every instance of thanking Allah counts as charity, every recitation of “There is no god but Allah” counts as charity; every declaration of” Allah is greater” counts as charity; to give good advice is charity; to warn against something evil is charity. The ritual prayer of two cycles performed before noon has the same status.” (Bukhârî, Sulh, 11). The higher a person’s spiritual state, the greater care that person takes concerning food and drink. For example, according to the religious law, to keep eating after one’s hunger is satisfied is accounted wasteful. According to the Sufi path, to keep eating until one’s hunger is satisfied is accounted wasteful. At the level of truth, to eat without remembering the divine presence is accounted wasteful. And at the level of recognition of Allah, to eat without contemplating the divine disclosure manifested in the gift of food is accounted wasteful. The hidden guide Khidr (Alaihi Salaam) visited `Abdulkhâliq Gujduwânî one of the Friends of Allah. The conversation between the two concerning the consumption of food and drink is full of lessons, since it displays the peak of spiritual sensitivity. Thus the spiritual quality of our food is influenced not only by whether the food was lawfully obtained, but also by the psycho- logical condition of whoever prepares it. And the spiritual qualify of our inner attitudes and ritual acts is influenced by the quality of our food. So look at how sensitive we must be concerning the food that we eat. Mawlânâ Jalâladdîn Rûmî قدسسره said, “Last night some doubtful bits of food went down to my stomach and closed the way by which inspiration comes.” His statement shows that we must be as careful about the spiritual quality of the food we consume as we are about its material quality. To act immoderately in such matters is not suitable to the dig- nity of a believer. …Eat and drink, but do not waste by excess!… (A’raf, 7/31). In a Prophetic saying we read: “Eat, drink, dress yourself, and give charity without falling into profligacy and arrogance.” (Bukhârî, Libâs, 1). This saying indicates the limits the limits that people should observe when they satisfy their needs. In another Prophetic saying, we read: “It would certainly be extravagance to eat everything you desire!” (Ibn Mâja, At`ima, 51). Greedily devouring everything is what is termed gluttony, and our religion forbids such an action. Again, this saying indicates that having the opportunity to indulge does not justify overindulgence. Our Prophet ﷺ concisely stated the measure one must observe regarding consumption: “No man filled a cup more dangerous than his stomach. Certainly a few bites of food are sufficient to live. But if one has to eat more, let him allow one third of his stomach for food, one third of it for drink, and one third of it for breathing!” (Tirmidhî, Zuhd, 47). `Umar (RadiAllahu Anhu) gives the following advice in this regard: “Refrain from entirely filling your stomach with food and drink. Otherwise it will be harmful to your body, will encourage the emergence of disease, and will make you lazy about ritual prayer. Follow the middle way regarding the consumption of food and drink! That is more useful to your body, and will also move you away from waste- fulness.” (Ali al-Muttaqî, Kanz, XV, 433/41713). A proverb reminds us, “A person should not live to eat, but should eat to live!” The principle describes an important charac- teristic of believers. All behaviors that remove the blessing of the food are included under wastefulness. So if one begins eating without washing one’s hands and without remembering Allah, and if one does not thank Allah at the end of the meal, such negligence is considered not only ingratitude, but also profligacy. In a Prophetic saying we read: “The blessing of the meal is in washing one’s hands before and after the meal.” (Tirmidhî, At`ima, 39). “When someone goes to bed without washing the food off his hands, if he experiences harm, let him not blame anybody but him- self!” (Abû Dâwûd, At’ima, 53). When drinking water, the proper manners are to say bismillâh and to drink it in three sips; at the end one should say alhamdu- lillâh. Our Prophet ﷺ used to drink water and other beverages by dividing them into three parts. He said, “Don’t drink things down all at once, as camels do. Drink in two or three sips. Pronounce bismillâh before you drink something; and at the end say alhamdu- lillâh. (Tirmidhî, Ashriba, 13). Our Prophet ﷺ also forbade blowing into a beverage for any reason. Eating alone also decreases the blessing in the food, and is a kind of wastefulness.. Our Prophet ﷺ said that “There is com- passion in community, and fire in solitude.” He advised us to be together when we eat. One feels terribly shaken when one sees the wastefulness dominating our habits of consumption of food and drink, in our daily life and especially during wedding ceremonies and feasts. Wedding ceremonies and banquets are important means for strengthening community feeling. Unfortunately, when such cel- ebrations are designed egotistically, for purposes of show, they do not function to build community feeling. Instead they push people toward evil sentiments like pride, arrogance, jealousy, and envy, which lead to disappointment. Communities where such celebrations are encouraged fall away from the divine mercy and blessing.